If you want to publish photos from Mystery Makers, please include clear mention of the name ”Mystery Makers”, as well as the name of the product and, if possible, the name of the photographer – for example: Mystery Makers, The Killing Room™, Photo: Kim Wendt. You can find a collection of high-resolution photos from our experiences here. The photos can only be used for editorial content. You are welcome to contact in case you have any questions. Mystery Makers’ ultimate game opened on March 31, 2017. The Ritual is our most advanced Mystery Room to date. In The Ritual, you and your team will get 60 minutes to disrupt an occult lodge’s sinister ritual. The game is based on experiences from the more than 60,000 guests who visited our The Killing Room and The Lab. 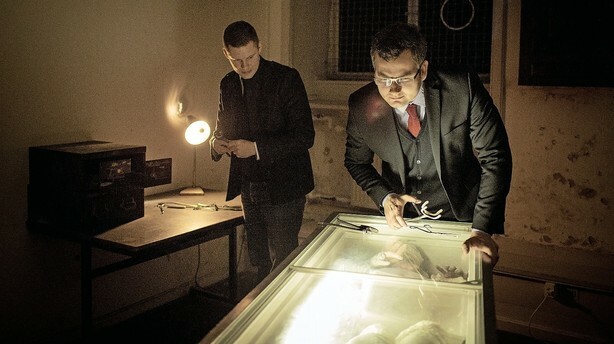 Mystery Makers opened the first Scandinavian Escape Room in 2014 – three years ago. The phenomenon immediately took guests by storm. The stories about this new type of experience went from mouth to mouth, and the hyped trend is now becoming an acknowledged form of entertainment. Mystery Makers are proud to have been the forerunners in establishing a new experience genre in Denmark. In the beginning of May, 2017, Mystery Makers’ newest treasure hunt, a challenging and hectic mission in The Citadel in Copenhagen, opened. You must gather information, break codes and reveal deception. Who can you trust, and who among you are masters of the art of war?